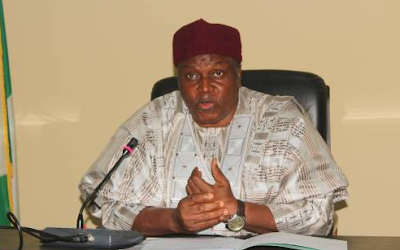 Governor Darius Ishaku of Taraba State has promised to make youth of the state millionaires if they re-elect him into office in 2019. The Governor made this promise during the celebration of his third anniversary in office and the Democracy Day at the Jolly Nyame Stadium, Jalingo. “I want you to re-elect us,” he said. “I will empower you to be millionaires. You will be exporting milk and meat; you will be driving Mercedes Benz instead of Keke NAPEP. Today, over 3,000 youth have been employed and thousands empowered through the Rescue Mission’s skills acquisition programme. “Those empowered are now self-reliant and have become employers of labour.The story of Aisha is a good example. Aisha was empowered and she later employed a widow and five others. Today, her business is still running. He also promised the people that he would fulfill all his 2015 campaign promises in the remaining year. Ishaku had earlier provided 30 tractors as well as several rice threshing machines, ambulances, Toyota Hilux vans and a cooling van to enhance primary healthcare in the state as part of Democracy Day celebration. Ishaku became Governor in 2015 after the Independent National Electoral Commission INEC) declared him winner of the April governorship election with 369,318 votes, defeating APC’s Aisha Alhassan, who coasted to an early lead but eventually got stuck on 275,984 votes.